This charming G-Timeless model combines fun, fashion and functional. A round stainless steel case presents a dreamy mother of pearl silver dial, complete with set stones upon the quarterly hour markers, within the hands and centre, with silver tone motifs making the other hour markers, and a handy date display towards the 6-o-clock position. 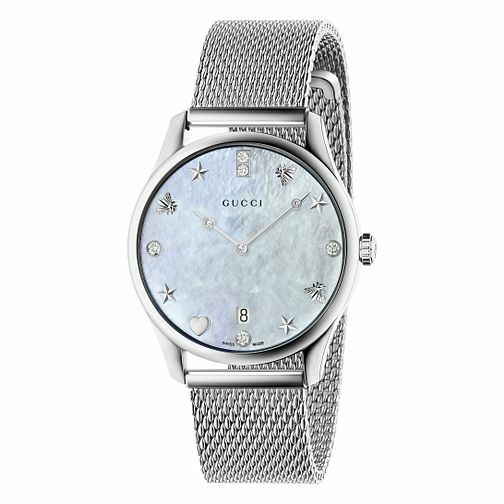 A stainless steel mesh bracelet ensures this Gucci timepiece is head-to-toe chic.